You can’t have too many writing tips! The first time someone told me, “show, don’t tell,” I had no idea what they were talking about. Show what? Isn’t writing, by its very nature, telling? I was a young writer and didn’t yet understand the many elements of good writing. But I kept hearing that advice over and over: show, don’t tell. Then, one day, it clicked. I got it. To tell was to write a synopsis. To show was to write a scene, to take readers through the events with action, dialogue, and detail. Show, don’t tell. Of course. It was so obvious. Now every time I read that advice, I have to smile. Learning often happens through repetition. The first time we hear something, we often forget it almost immediately. Through review and repetition, we eventually memorize new information. There is an infinite number of writing techniques and skills that the most advanced writers have mastered. We can’t expect to get our writing right the first time around, and we can’t expect to master all those techniques and skills as soon as we become privy to them. You can’t collect too many writing tips, and you can’t brush up on your techniques and skills too often. In that spirit, I bring you fifteen quick and dirty writing tips. These are just the headlines, designed to jog your memory and remind you of all the writerly things we should be doing at any given time. Read as much as you can (and make sure you read good stuff). Write every day — practice makes perfect. 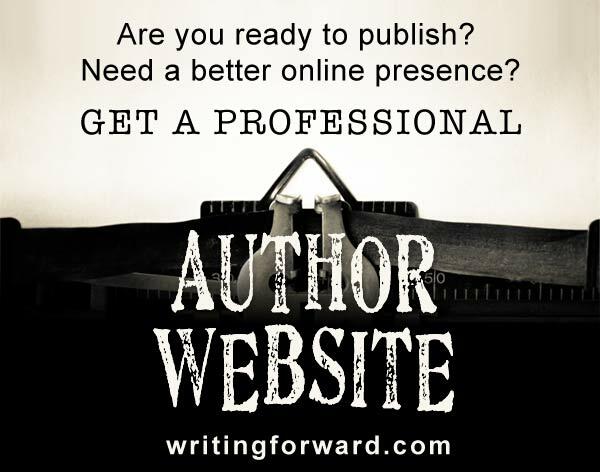 Join or start a writers’ group and get feedback on your work. Be yourself. You have your own voice; let people hear it. Don’t compare everything you write to more successful writers. They started somewhere too. Write when you are feeling it. Sometimes I write the parts of my book connected to my emotions at a particular time. I write the sad parts when I am sad, the happy parts when I am happy and the angry parts when I am angry. When you going through it, it’s real. You can communicate it in a way that makes it real on paper too. Later on you’ll have to rely on your imagination to write some scenes. I want to just add to a tip on the list- Read as much as you can ( and make sure you read good stuff ) I would encourage people to read the classics, because writing these days isn’t what it used to be, I recently read “The Three Musketeers” By Alexandre Dumas and afterwards when penning my own work, I realised that I didn’t just “tell” a story, I wove a story, my words could be sung, not just skimmed through and it just gave me a better grasp on creating real characters, jarring characters without relying on violence or shock, but cunning. Your extra tips are perfect! Many of us may not have the luxury of accommodating our writing schedules to our emotions, but if at all possible, I think it’s a brilliant technique. I definitely sense my emotions in my writing and certain emotional states are better for writing than others. I have never really thought about reserving certain parts of a narrative for emotional times, but I love that idea and hope to try it out sometime, preferably when I’m feeling adventurous! I think it’s crucial to read the classics. I wish I could say that it goes without saying, but writers need to be reminded that these works are classics for a reason. There’s nothing wrong with being a pop-culture, mainstream, bestselling writer, but even those writers should understand what gives a book longevity. You simply cannot read enough. The best tip I ever received was – ‘write, even when you don’t feel like it.’ You might not feel like writing at the time but the very act of putting pen to paper or fingers on the keyboard activates your writing muscles. I agree with that advice. When you don’t feel like writing, it’s easy to blow it off (especially if you’re not getting paid for it), but it’s best practice to show up every day whether you feel like it or not. Great tips here. It’s always good to be reminded of the basics every now and then. Thanks, Alana. 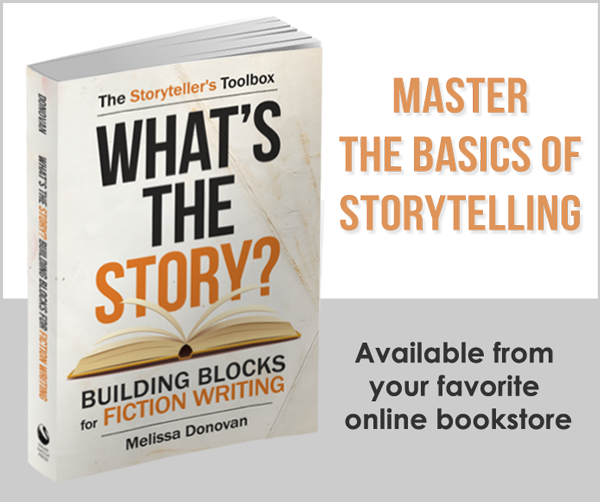 I find that I need to revisit the basics from time to time and figured other writers do too. My biggest tip–I’d be lost without my to-do list. Every time I sit down for a writing session, I outline exactly what I want to get accomplished. I usually keep the list to around five items, since anything much longer can be discouraging. It keeps me on track and makes it easier for me to control time-wasters like email and social media. I’m so dependent on my to-do list, and not just for writing. I use it to keep track of everything I need to do, from work-related tasks to simple errands. I don’t know what I’d do without it! I’ve often been told to carry a writing utensil and small notebook, sticky notes, notepad, etc. in each purse, one never knows when the next great idea will hit and it doesn’t hurt to always be prepared. I agree, and I always carry a little notebook and a pen. However, a smart phone can serve the same function, so if you ever forget your notebook, you can make a note in your phone or send yourself a voice mail! Yeah, being prepared never hurts. 100% agree with you on that! Nice, Melissa. I would like to add to the “show, don’t tell” mantra the following. Showing is allowing the readers to conclude what’s going on, by engaging them through emotional stimuli. Telling is making that conclusion for them. Now it becomes clear why showing is it gives the readers the feeling they are in control of what to think/feel. Good fiction, however, balances the two imho. Showing takes more energy from the reader than telling. Oh well, if it were easy, anybody could do it. “Show, don’t tell” is definitely one of the most important writing practices for young and new writers to learn, and one that many have a difficult time with at first (but easily master once they grasp its meaning). Thanks for adding it! So how does one get started on the writing path? What is an appropriate place to begin? I’ve tried keeping a journal, but it always comes out more like a diary and I hate the outcome. I have gotten back into reading in the past year, but I’m a slow reader. I’ve always been told that my writing (for work — mktg copy) is very good and concise, but it doesn’t come easy to me. I dabbled in poetry in high school (teacher also told me I had written some of the best student poetry he’d read), and always did well in English — grade school through college, but I’ve never really thought I had what it takes to be a GOOD writer. An interesting writer. A writer with something relevant to say. Any advice you can offer would be most appreciated! To get started on the writing path, don’t worry about being a GOOD writer. Just be a writer. Even if you’re a slow reader, it’s essential that you read as much as you can. If you can set aside 30 minutes a day for reading and 30 minutes for writing, you’ll make good progress. I wish you the best of luck! “Make sure you read good stuff”: not necessarily… sometimes I better understand my mistakes when I see them on others’ novels. That’s interesting. I find that mistakes in novels serve as a good reminder to check and double-check and to remember that typos almost always slip through (they even get past some of the most experienced editors, as I’ve seen in published books). Sorry, Melissa. Is it once again the difference between my Australian English and your American English? In my view, under the heading “You can’t have too many writing tips”, your sentence that began, ‘There are an infinite number of writing techniques ……’ surely should have read, ‘There is an infinite number of writing techniques……’. ‘Number’ is surely a singular noun, not a plural. Good catch! It’s fixed now. Thanks. Great tips. Before I start writing I close my eyes to see and feel my characters for sometime. Visualization Works well with me. I am a banker and I write during nights. I observe people closely and while at work the author within me keep working in mind. Thoughts spill on paper eventually. I use actors for most of my characters. It helps me visualize them, and sometimes a role the actor has played or the actor’s personality will inform the character’s traits and behaviors. Sometimes I can’t find an actor, so I’ll use musicians and other public figures. It’s immensely helpful for visualization. 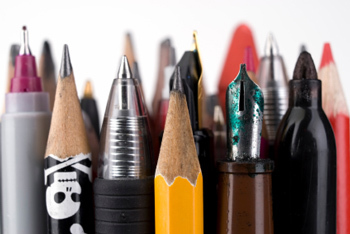 I agree: One cannot have too many writing tips, be they advice or writing instruments (I enjoyed your image). I am collecting novels and writing books with obsessive speed, as well as reading blogs and online articles. There is so much to learn—I am a new writer—and I want to learn it all, right now. My dilemma is what to read first, where to focus my learning energy at any given time. Thanks for sharing these tips in one list. It’s so exciting to be at the beginning of the writing adventure. I love that you’re eager to learn, but be sure to enjoy the journey and the excitement of learning new things and making new discoveries about the craft and your own work. For your number one tip, you say, “Read as much as you can (and make sure you read good stuff).” A great tip, but how does one know which books are ‘good stuff’? One can spend a lot of time and money trying to find worthwhile reads nowadays. By “good stuff,” I mean written works that have already proven themselves…the classics, books that have a lot of critical or fan acclaim. A lot of the staples are the same books taught in high schools and colleges from Shakespeare to The Grapes of Wrath to To Kill a Mockingbird. Check for awards or recommendations that come from trusted experts. But don’t avoid the best-seller lists either–it’s not a bad idea to know what appeals to the mainstream reading audience. A word of caution: be aware of how best-seller lists are developed (there are all kinds of rules about what can and can’t make the lists) and how awards are granted.